Soccer happens to be one of the most popular and appreciated sports around the world today. As you know, there are several institutes and coaching centers that offer training in soccer. Students in these institutes take part in a number of soccer tournaments and championships. You may also see Sample Certificate Templates. Now, in both cases, certificates are a must. If you’re in charge of either, you could use the certificate templates provided below. These would certainly come in handy. 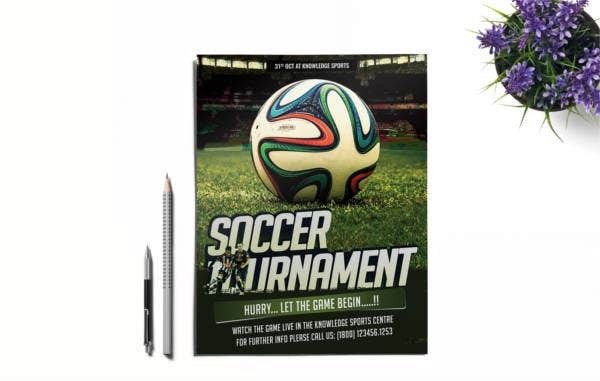 This certificate of soccer would be perfect for any kind of tournament or championship. The use of the vibrant color schemes makes the template look all the more attractive. 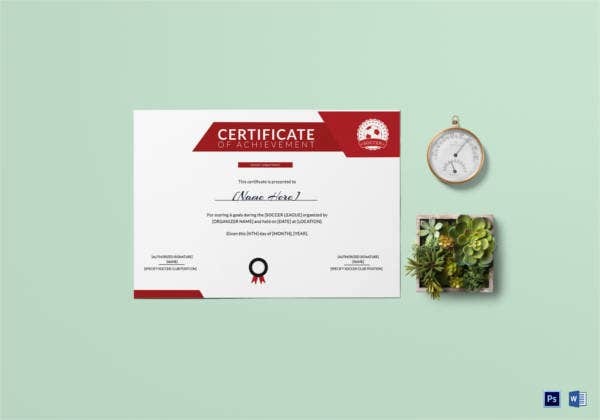 The certificate template that you see here comes with easy customization, PSD and Word compatibility, a standard size and bleed, CMYK colour mode, adjustable text and colour and also a fairly high resolution. 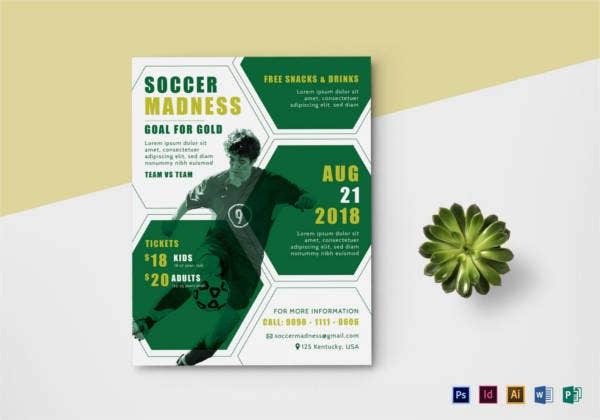 The design on this template has been kept no nonsense and compact. The layout is all set for printing; plus, it is neat, tidy and well-designed. That prevents it from becoming clumsy as well. 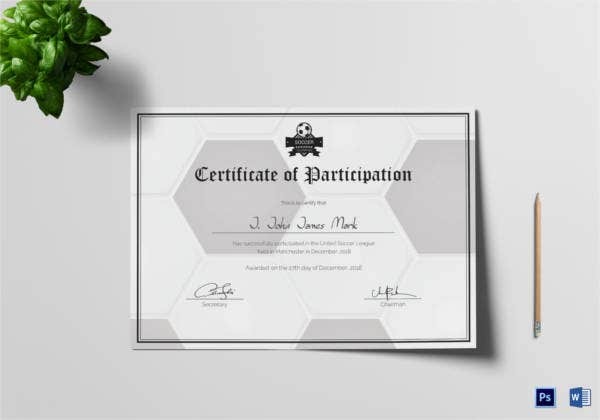 The certificate template here sticks to the soccer theme. One look at it will tell you what it is all about. Plus, this certificate comes with Word compatibility and easy customization. The first thing you notice about the template is the border on it. The striking border is the only design you’ll find on the template. That makes it unique and well designed as well. 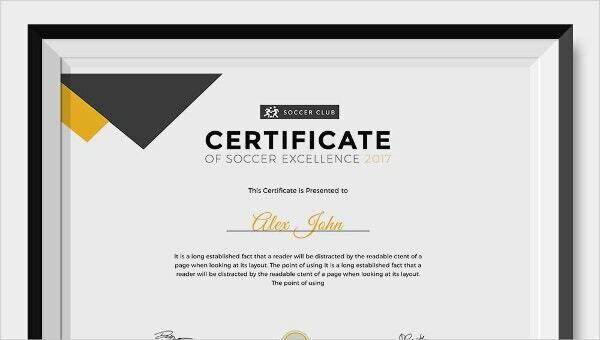 > What are the Different Types of Soccer Certificates? You have certificates of completion which are awarded when you complete your training program at any coaching institute. This is to show your skill in the sport. 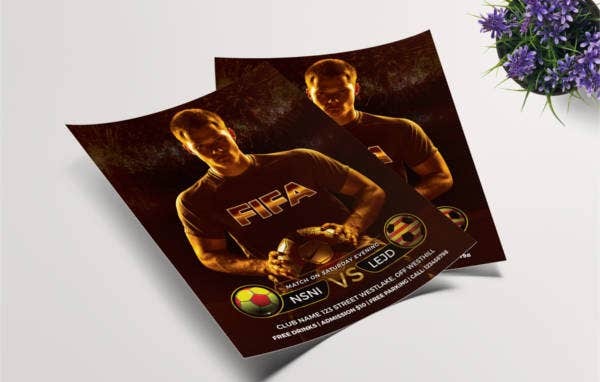 You also have certificates which are awarded at the end of various soccer tournaments and championships. Both the winning members and the other participants are awarded certificates. However, their certificates will vary in type and also in terms of the content. 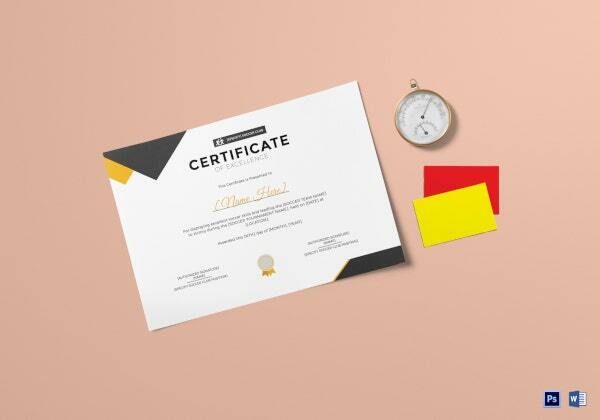 You have certificates that are awarded for achievement and to recognise the efforts put in by somebody. 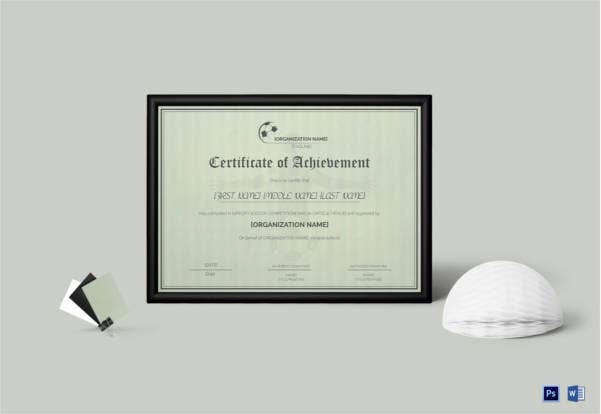 > What Makes the Soccer Certificates so Special? 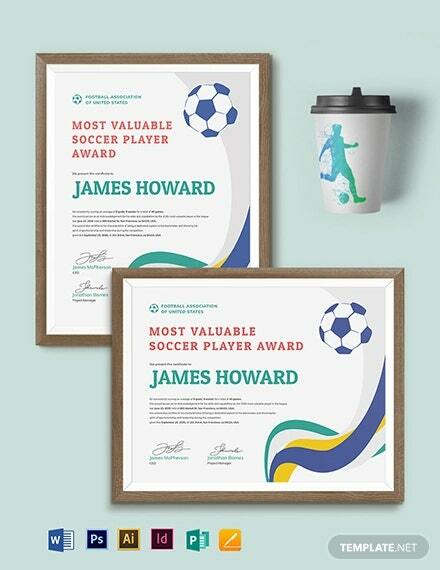 Wondering what it is about these soccer certificates that makes them so very special? They are described below. The certificates stick to the theme. 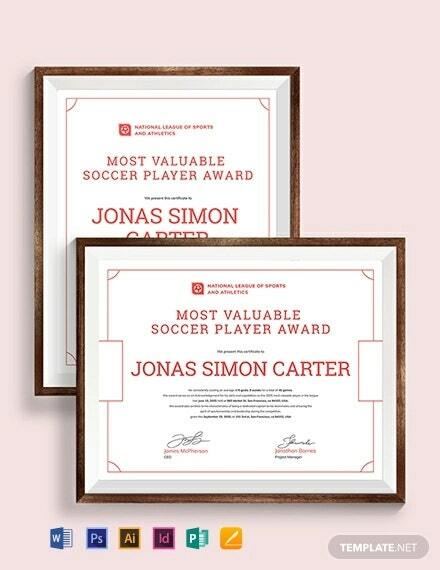 One look at the certificates will tell you that they are related to the field of soccer. That makes them highly specialised as well. They have been designed by the pros. Professional help always makes the certificates look more professional and dignified. 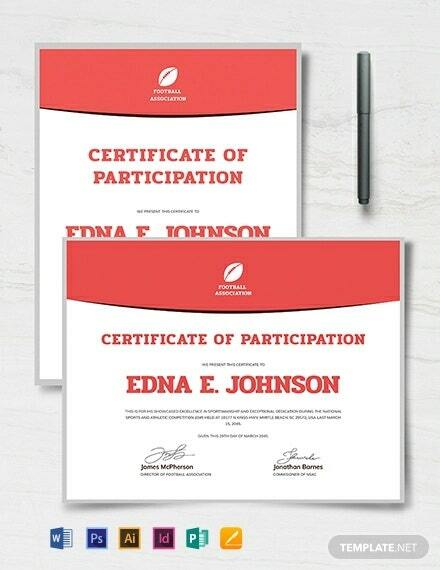 The certificates come in a number of formats. That makes them easy to use for everyone. They are completely editable and customisable. Once you download the template, you’re free to experience with them any way you please. 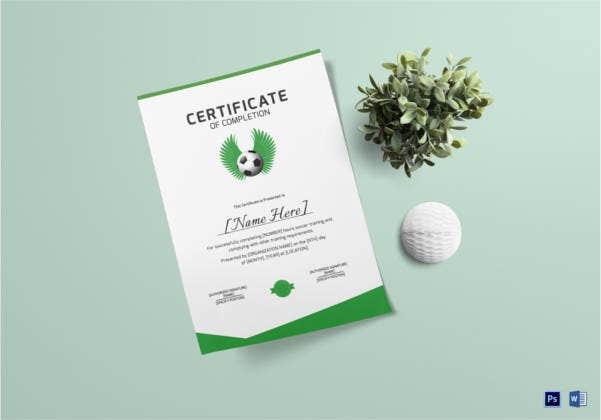 You can also see Sports Certificate Templates. 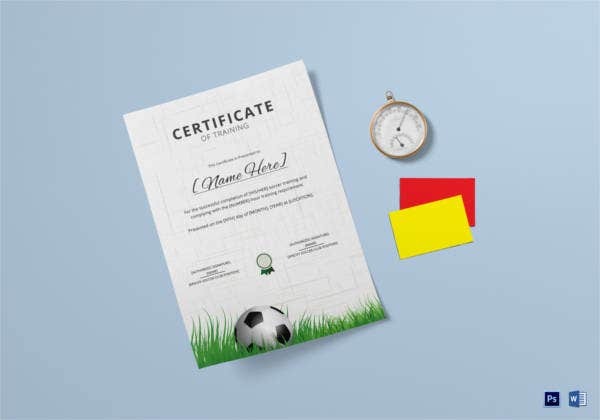 Now you know about the different types of soccer certificates found here and what make them so special. 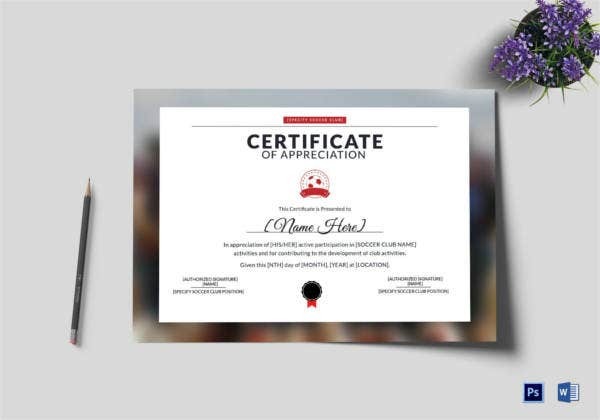 All you have to do now is click on that download option and get your hands on the certificate template you like. The templates also come in a print ready format. How great is that? !